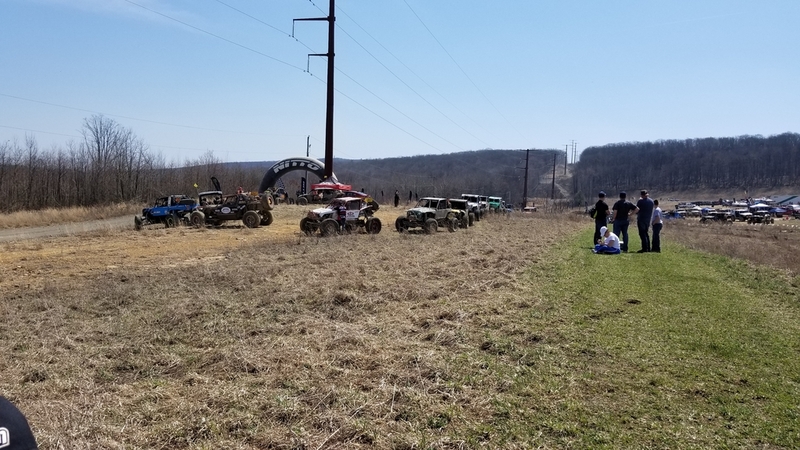 Showdown in Shamokin | Capital Off Road Enthusiasts, Inc. When I asked my boss for a day off to watch King of the Hammers, I put it to him simply. 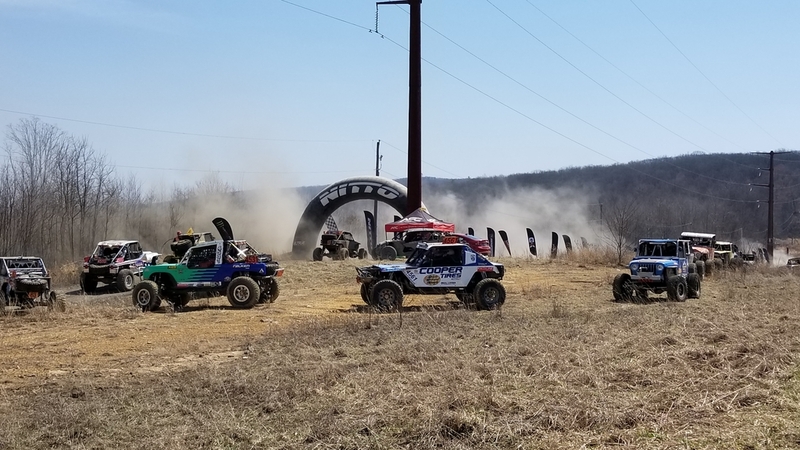 “I’d like to take a Friday to watch $100k racecars get thrashed on rocks the size of VW Beetles.” When Andrew posted the invite to watch an outdoor race at Anthracite, I knew it wouldn’t be the same as KoH, but I couldn’t pass up my chance to watch. 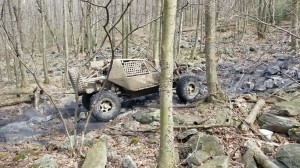 In the race would be a Maryland-area Ultra 4 team, Erik Miller Motorsports. Erik Miller won King of the Hammers in 2016, which meant that this race would have some serious talent. 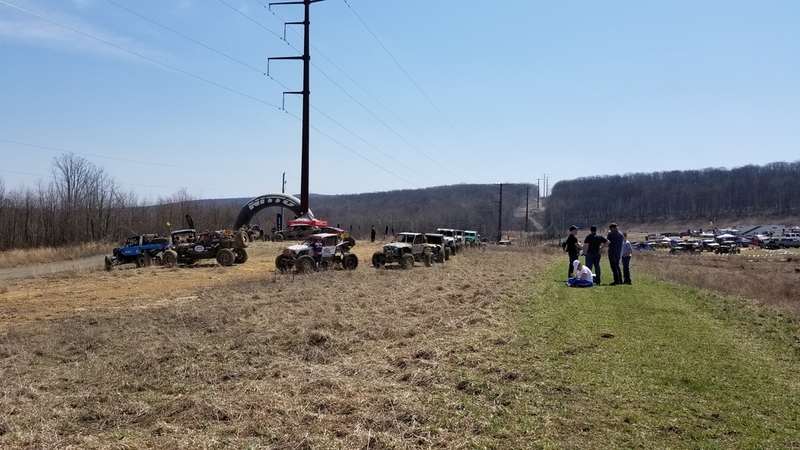 With a fresh water pump in the Jeep, it was time to make the long trip to the Anthracite Off-Road Adventure Area, and watch some other rigs break for a change. Early Saturday morning, with spare coolant packed next to my cooler, Andrew, Cherie and I left for Pennsylvania. An unnervingly-clear Route 7 led us to Highway 15, through Maryland, and up to Pennsylvania. Along the way, I told the story of a time last year when I drove 15. A ladder fell from a work truck and began spinning in our lane. My friend (who was driving) tapped the brakes, then perfectly synced her car with the spinning death-ladder. 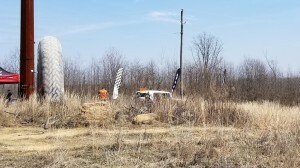 Like a bullet slipping by an airplane propeller, or a kid jumping double-dutch on the playground, we moved with the spinning hazard, and effortlessly avoided it. After a human-fuel stop at the Arby’s in Pine Grove, we drove on to Anthracite. 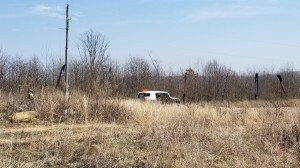 With admission paid and the Jeep parked, we opted to wander the staging area. What struck me wasn’t just the variance in competition rigs, but also in support vehicles. 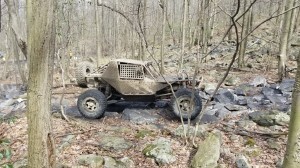 Several of the rigs we spotted would look at home out in the park, or at Rausch, or on a back trail in the Shenandoah. 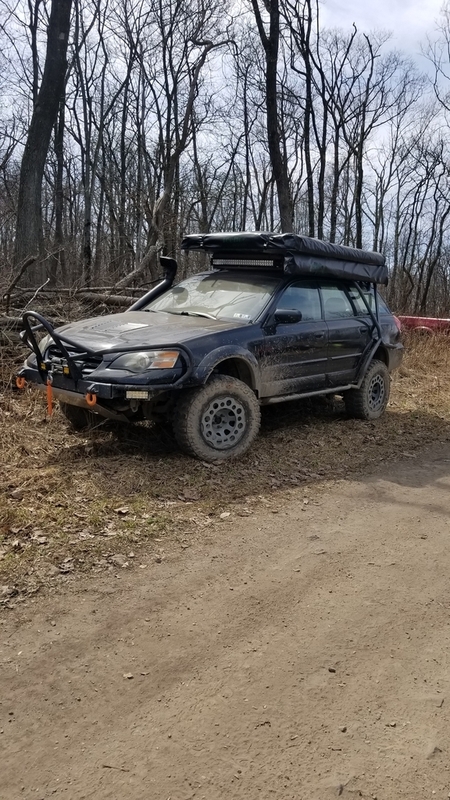 Everyday people with a built-up trail rig, plus a trailer, tow vehicle, and a canopy tent for shade. 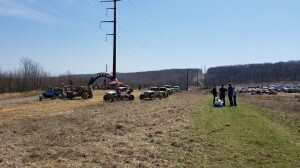 In contrast, maybe a dozen of the teams looked extremely professional, some with eighteen-wheelers acting as tow vehicle and garage. 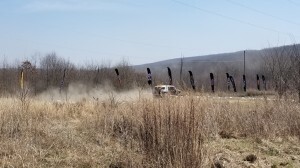 One team had a Ford Raptor wrapped with the team’s logo and colors. Per the schedule, the early afternoon would launch the Limited classes (4500, 4600 and 4800). 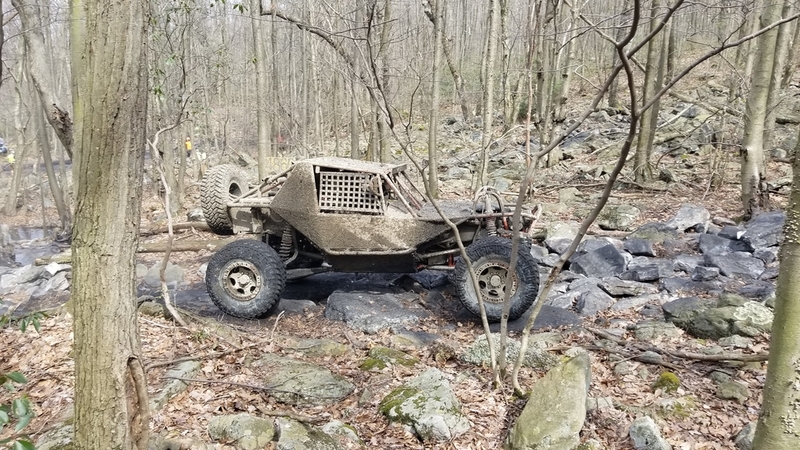 The classes break down as follow: 4500 (Rubicon Express Modified Class) series cars can be built from an OEM/stock chassis, can only have two shock absorbers per wheel, and can run DOT-approved 37″ tires or smaller. 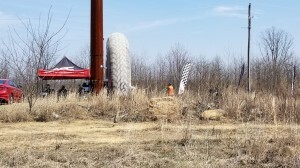 The 4600 class, or the Pro-Comp Stock Class have to have a stock frame, factory-spec engine and transmission, only one shock absorber per corner, and 35″ DOT-approved tires or smaller. Legends class, the 4800 class) are racers that would have done well in the unlimited class a few years ago. 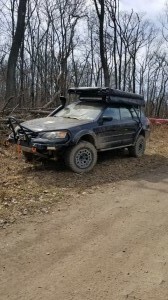 These cars are limited to a front-mounted engine, 37″ non-sticky tires, solid axles, two side-by-side seats, and only one shock absorber per corner. By contrast, the Unlimited (4400) series, are only required to have a transfer case and the capability to be driven in four-wheel drive. 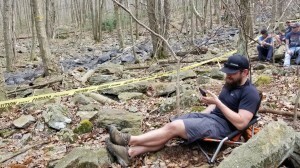 At 12:30, Andrew, Cherie and I were sitting near the starting line, waiting for the Limited classes to start. 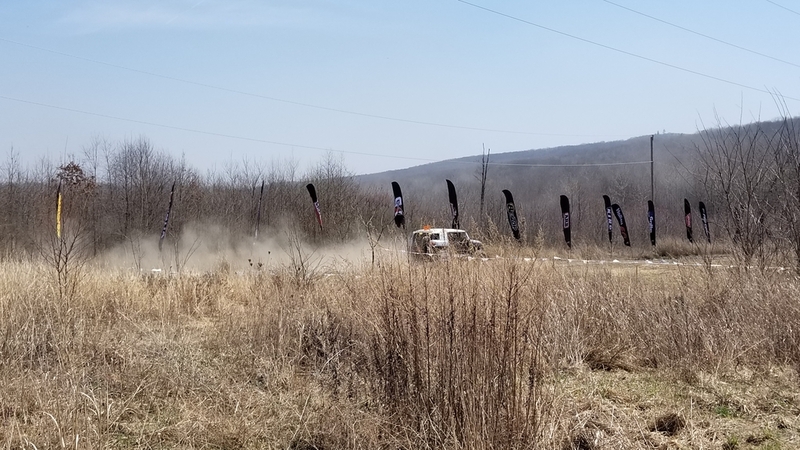 Engines roared, dust flew, and the race was on! 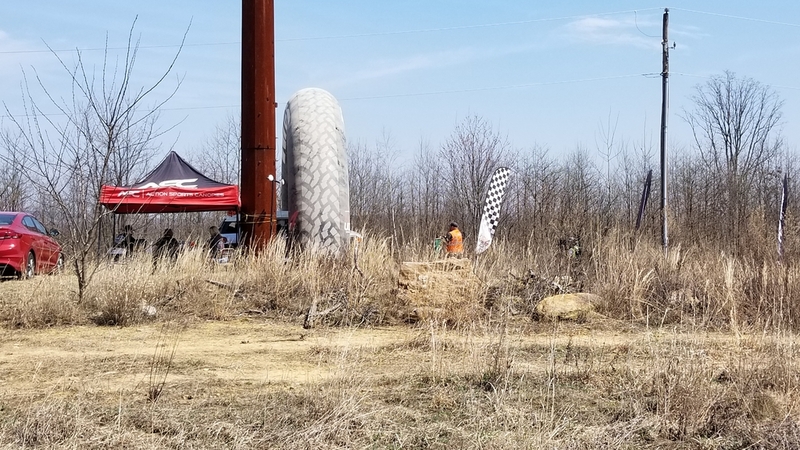 One by one, the machines disappeared into the woods, and rather than wait for them to return to the big Nitto arch, we decided to find the on-course spectator area. 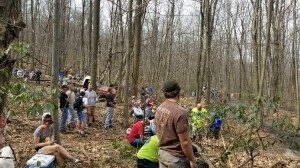 After reassuring the event staff that we weren’t sneaking a cooler of beers onto the course, we followed a short access road to a hill climb surrounded by spectators. Within minutes, the first rigs arrived! 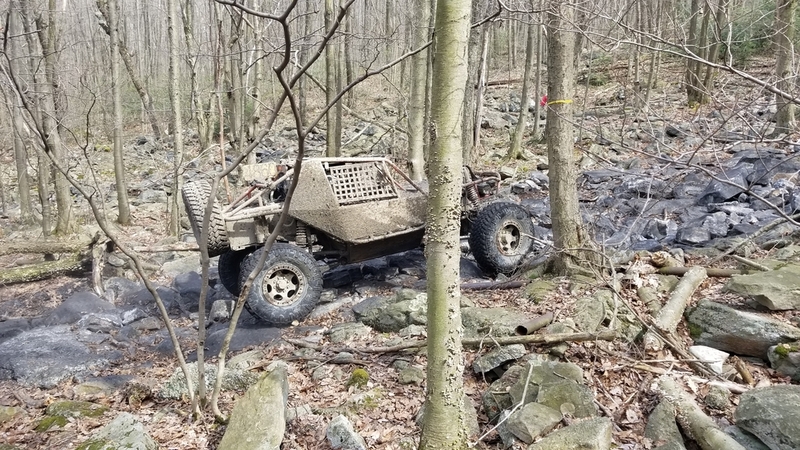 As a proud owner of a stock LJ, I have to accept that there are some obstacles that I just can’t do. It’s fun to watch other people creep and crawl over what I can only dream of doing. Watching the Limited class achieve school-zone speeds over that category of rock reminded me of Motor Trend’s Ultimate Adventure videos. 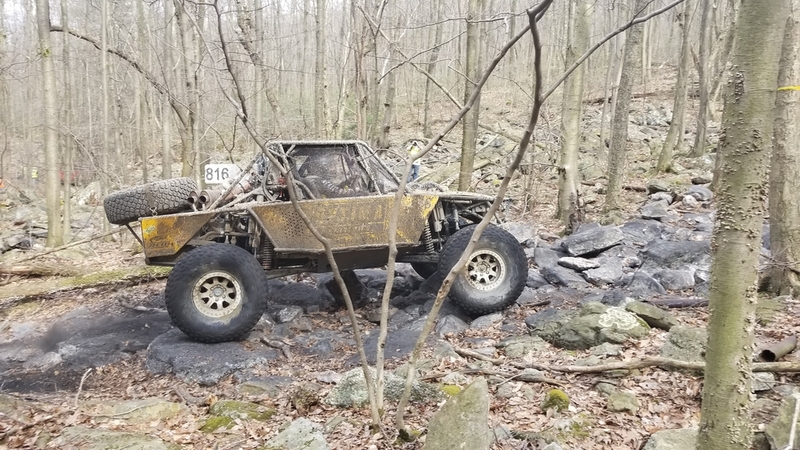 4600-class rigs especially made me feel like I’m only a lift kit, turbocharger, 35″ tires and a set of skid plates away from doing the very same thing. If the Limited class reminded me of Ultimate Adventure, the Unlimited class out-did it! 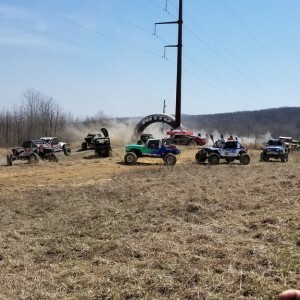 While this race started later in the afternoon, watching these rigs in action was worth every mile of the drive up. These engines were louder and the drivers bolder. Separated by ten feet and caution tape, I began to notice a sharp difference in the Limited classes and the Unlimited class. 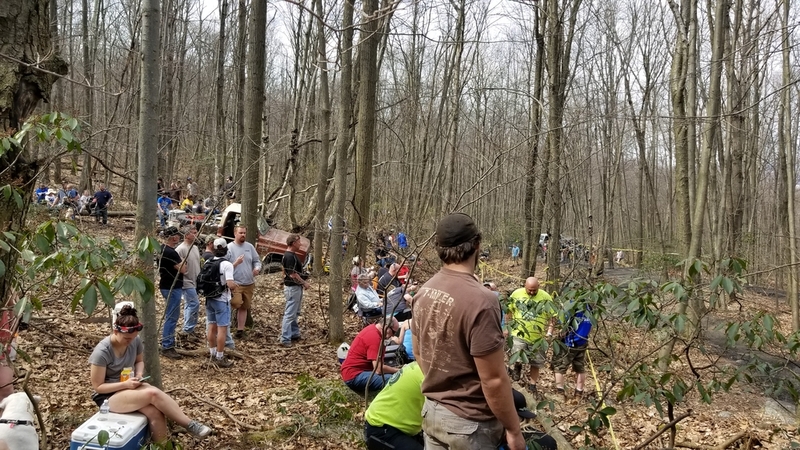 The Limited classes were seriously tough–they’d bounce over logs and rocks, and had very few mechanical failures that afternoon. 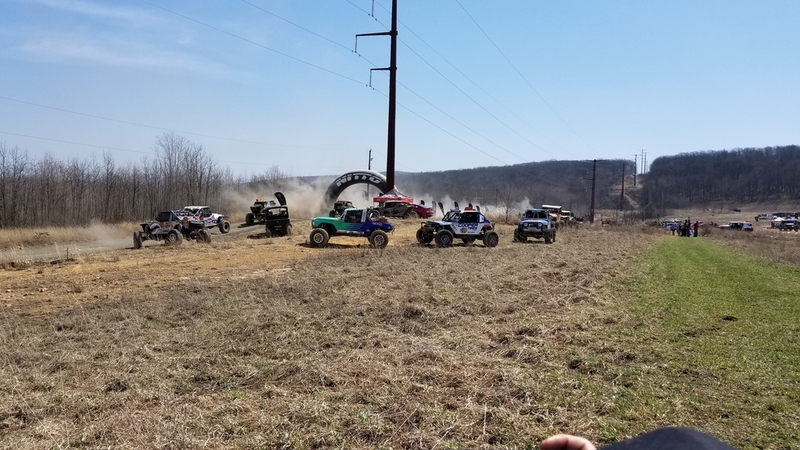 By contrast, one of the Unlimited rigs slipped, putting a differential smack-dab on a rock. For most rigs, simply not breaking would be enough. Instead, in this diff-vs-rock showdown…the rock split in half. 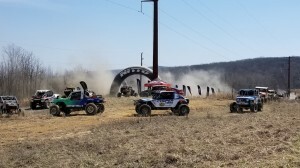 At the end of the race, Eric Miller, Maryland-area Ultra 4 hero and King of the Hammers winner, took second place by only fourteen seconds…after three hours of racing. My experience was much more relaxed. 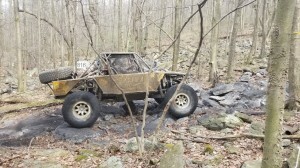 Watching rigs that I could build run the trails at Anthracite made me realize that I could do that. Maybe with a Jeep that isn’t eating spare parts like candy, but do it no less! 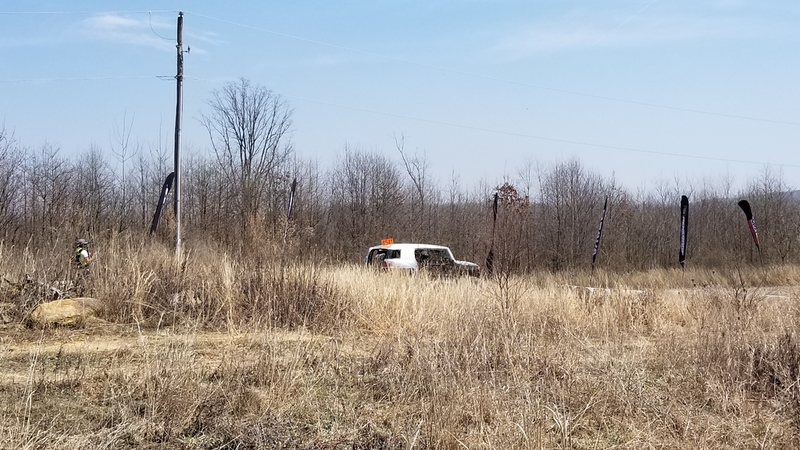 Eager to return to Anthracite soon, we drove back down the access trail from the spectator area, and left it in the rearview mirror. 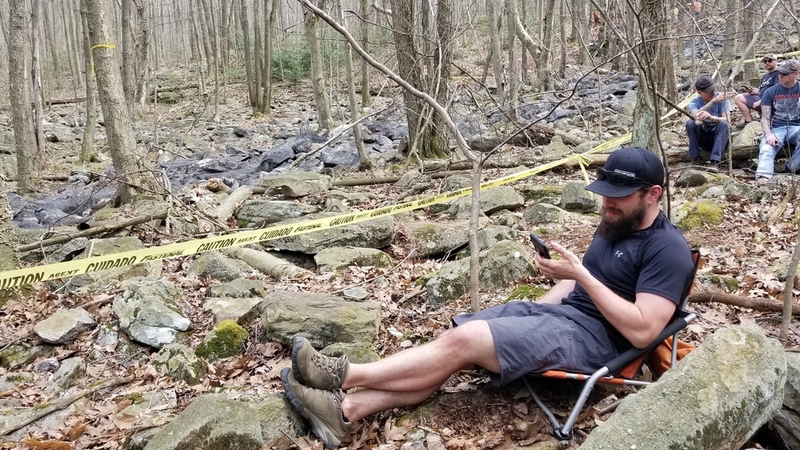 Trail report courtesy of Andrew Taylor. Pictures courtesy of Andrew. 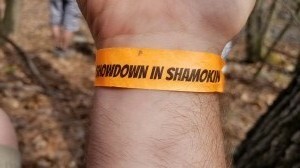 Trip Report Anthracite Outdoor Adventure Area, Showdown in Shamokin, Ultra4. permalink.